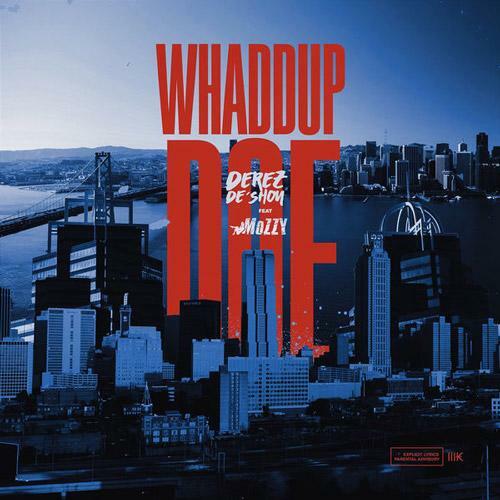 Home>New Songs>Derez De'Shon Songs> Derez Deshon & Mozzy Link Up On "Whaddup Doe"
It feels like we haven't heard much from Derez De'Shon in recent times, but that's about to change soon. With a new project on the horizon, he prepares for its release with his new single, "Whaddup Doe." Derez De'Shon is back with his new single "Whaddup Doe" featuring Sacramento's own Mozzy. The track features production from London On Da Track who's been locked in the studio with Young Thug working on Barter 7. The song follows the release of "Beat The Odds" which features YFN Lucci. Derez De'Shon and Mozzy link up on a West Coast-influenced beat and deliver a party anthem. "Whaddup Doe" serves as the latest single off of De'Shon's new project, Pain 2 which is expected to drop on Dec. 14. Keep your eyes peeled for that project. Peewee Longway Drops A Sensual One With "Bout It Bout It"
Lil B Gets In His R&B Bag With New Song "I Got To Many B***es"
SONGS Derez Deshon & Mozzy Link Up On "Whaddup Doe"